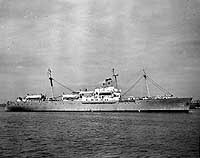 In September 1946, the 11,500-ton evacuation transport USS Pinkney (APH-2) was transferred to the U.S. Army Transportation Service for conversion to a transport. 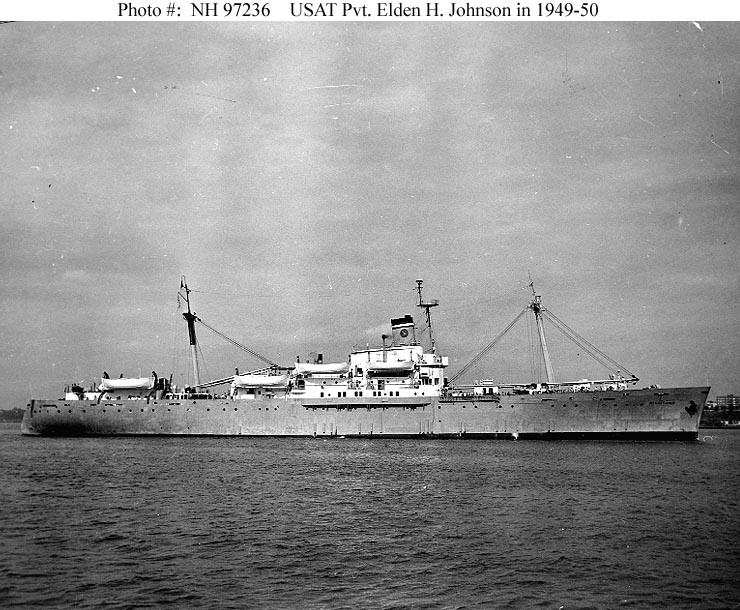 When this work was completed in 1947, she was placed in service under the name Private Elden H. Johnson. 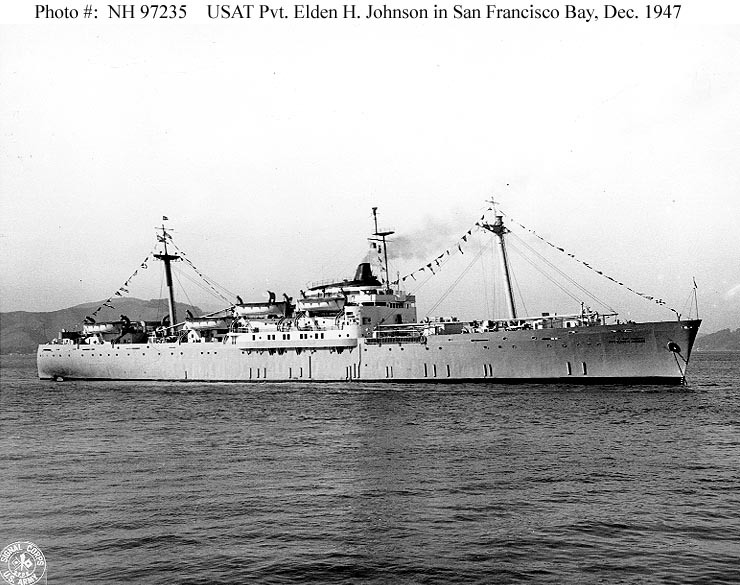 In March 1950, when the Army Transportation Service was taken over by the Military Sea Transportation Service, she returned to Navy custody and thereafter operated as USNS Private Elden H. Johnson (T-AP-184). This page features our only views of USAT Private Elden H. Johnson. 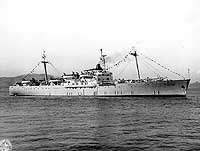 For additional views of this ship, taken before and after her Army service, see: USS Pinkney (APH-2), later USNS Private Elden H. Johnson (T-AP-184). In San Francisco Bay, California, 19 December 1947. Photographed by the Port Signal Section, Fort Mason, California. Official U.S. Army Photograph, from the Military Sealift Command collection at the Naval Historical Center. Photographed circa 1949 or early 1950, after she had been fitted with a larger smokestack.